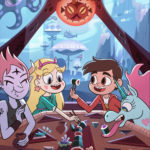 Disney Channel’s Big City Greens and Disney XD’s Star vs the Forces of Evil held a joint panel today at Comic-Con where they treated fans to several fun surprises including two Comic-Con exclusive sneak peeks. 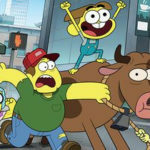 The morning’s events started with clip of a new show called Amphibia. 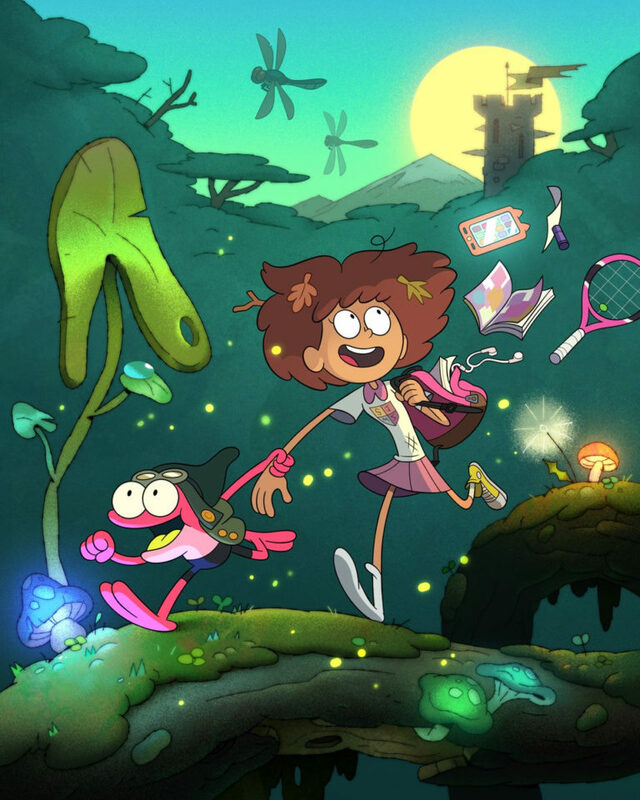 Amphibia is about a girl who ends up in a world of frog people and will premiere on Disney Chanel in 2019. 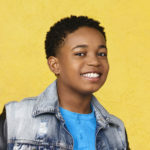 The voice cast of Star vs. The Forces of Evil took the stage and performed a reading from an upcoming book for spells. Adam McArthur who voices Marco, is a real life martial arts expert and showed off his skills to the audience by breaking bricks with his hand! 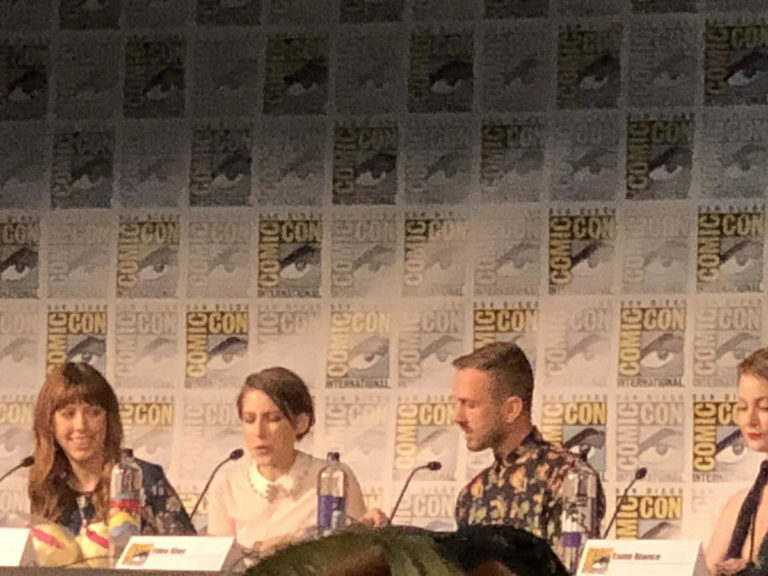 Big City Greens took the stage next and went through the evolution of Tilly’s character with voice actress Marieve Herington. 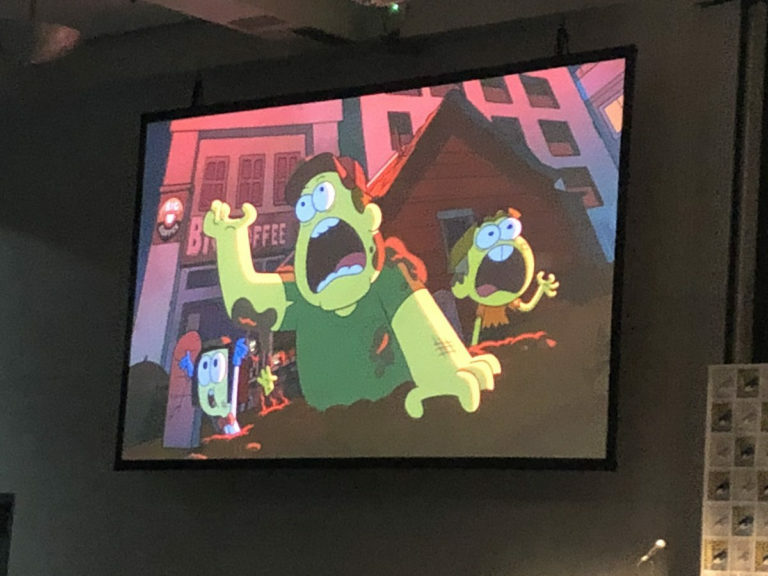 Then they announced an upcoming Halloween special! 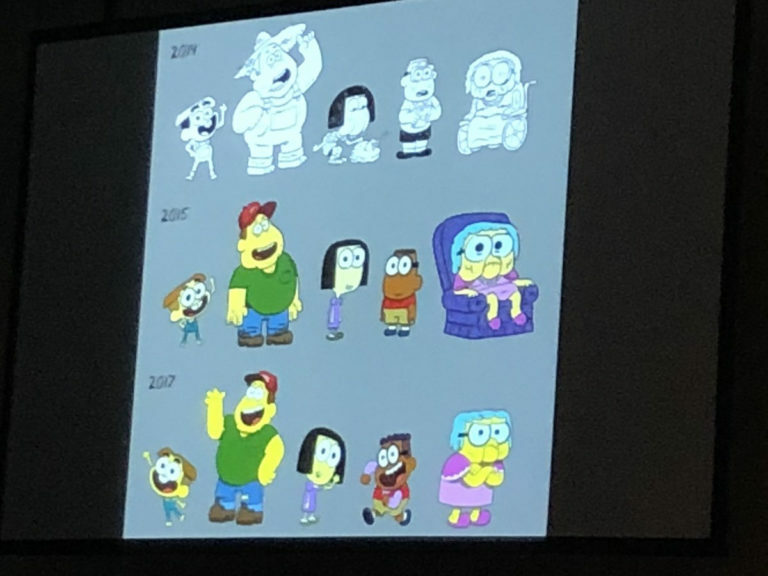 Both shows came together for a live reading of a script where the Big City Greens characters go to a comic-con and the Star vs. The Forces of Evil characters enter through a dimensional tear. All of them are being chased by a man-spider monster so Cricket Green attempts to save the day by attacking a Spider-Man cosplayer. 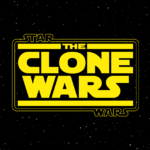 Both shows debuted Comic-Con exclusive sneak peeks too!